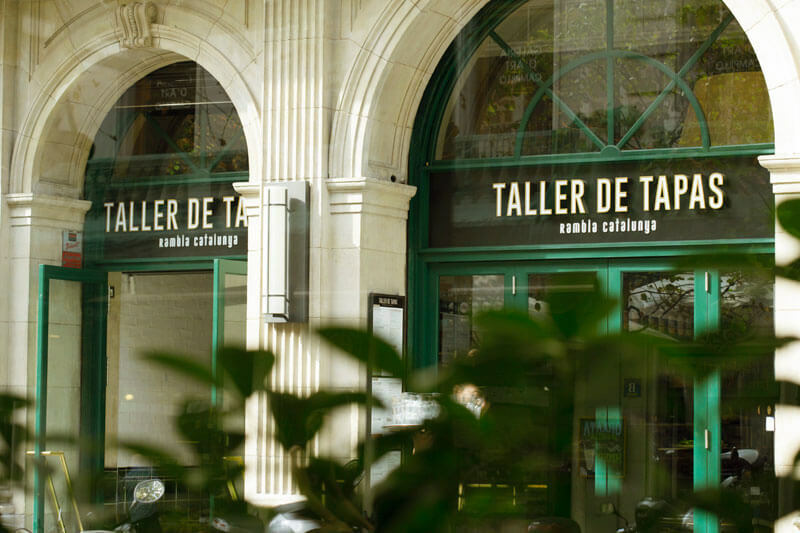 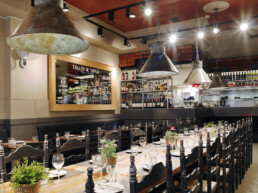 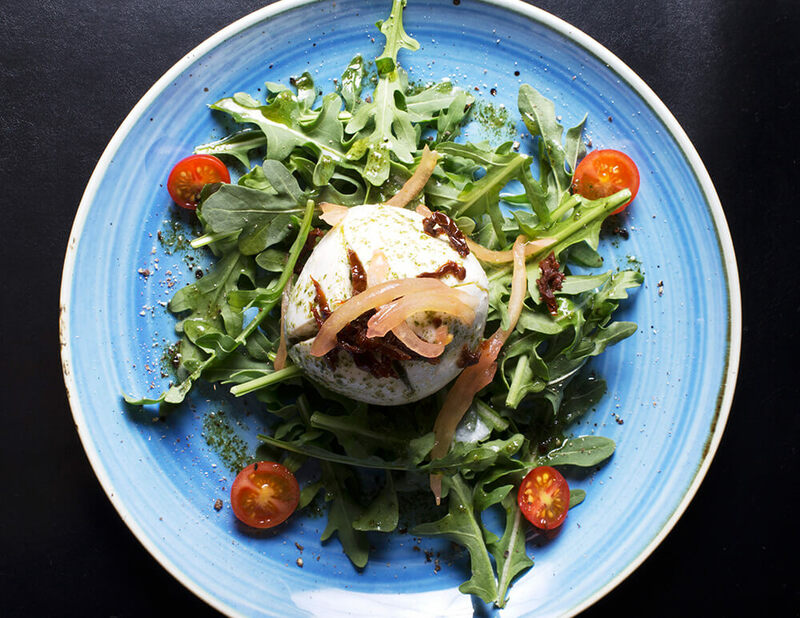 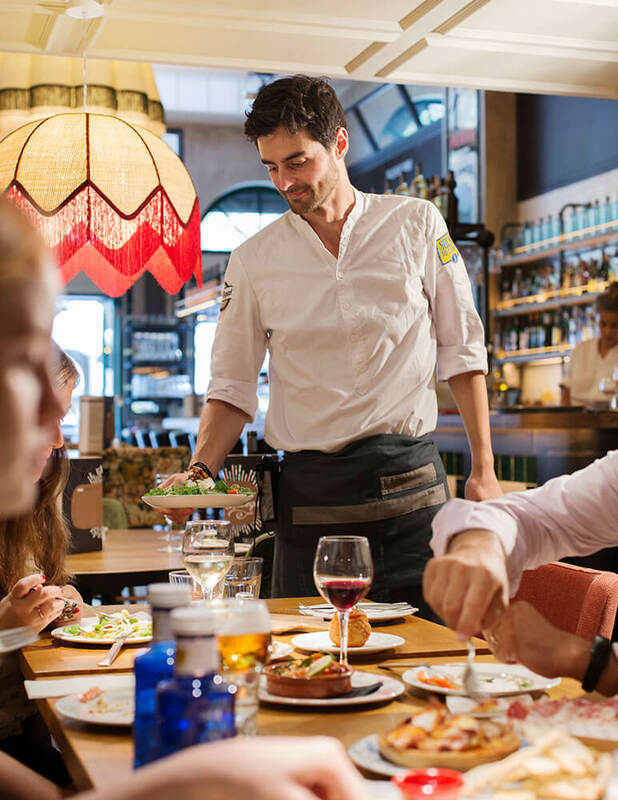 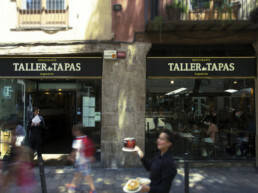 Walk the wide, tree-lined avenue that straddles the centre of the Rambla Catalunya and you’ll come to the newest jewel of the Taller de Tapas collection. 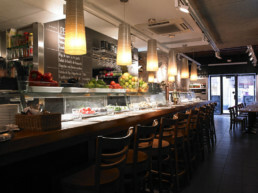 It’s a perfect lunch or breakfast spot for busy shoppers – and a wonderful place to meet and wander in the evening. 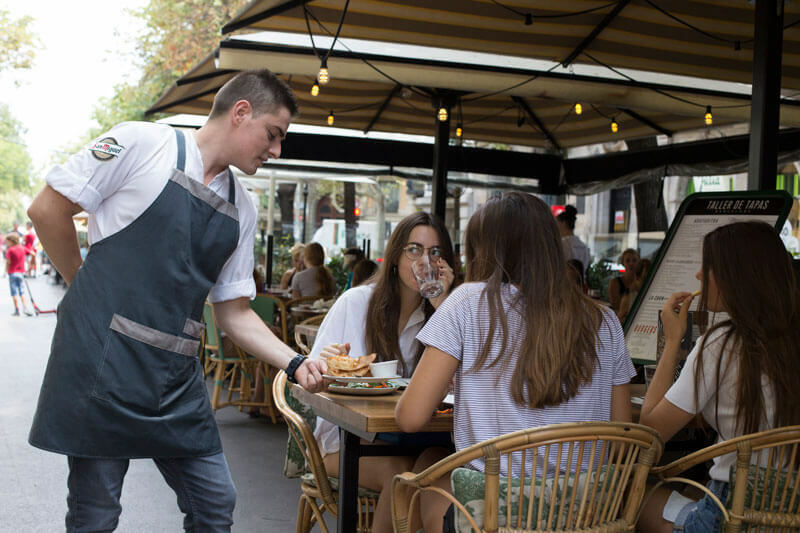 You can dine al fresco at shady tables on the tree-lined boulevard (just like Scarlett Johanssen and Woody Allen in his latest film). 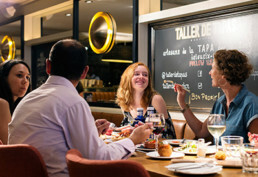 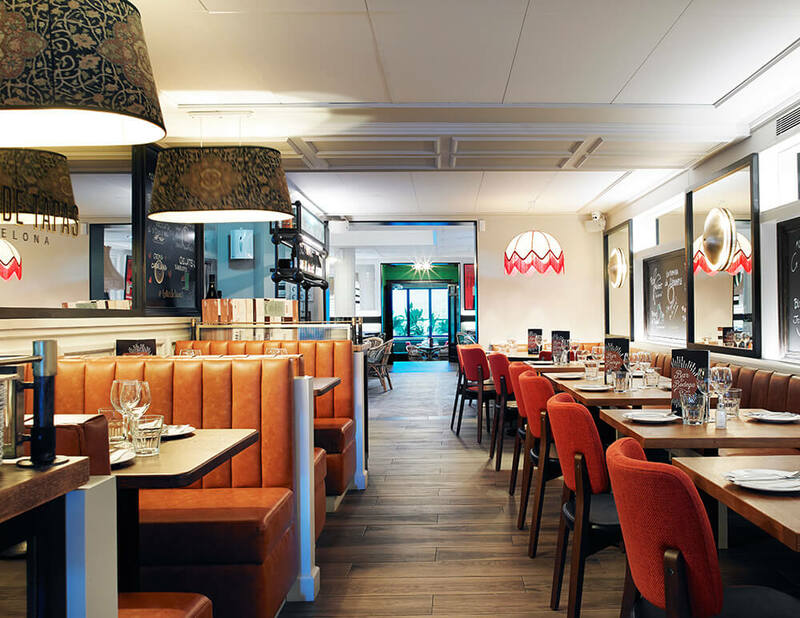 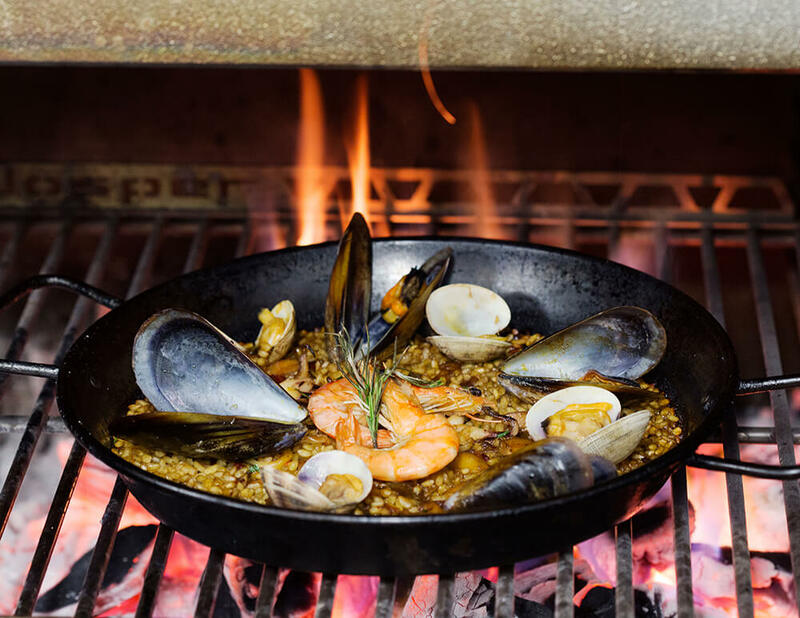 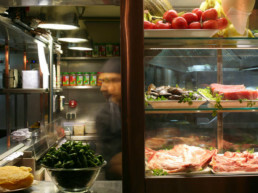 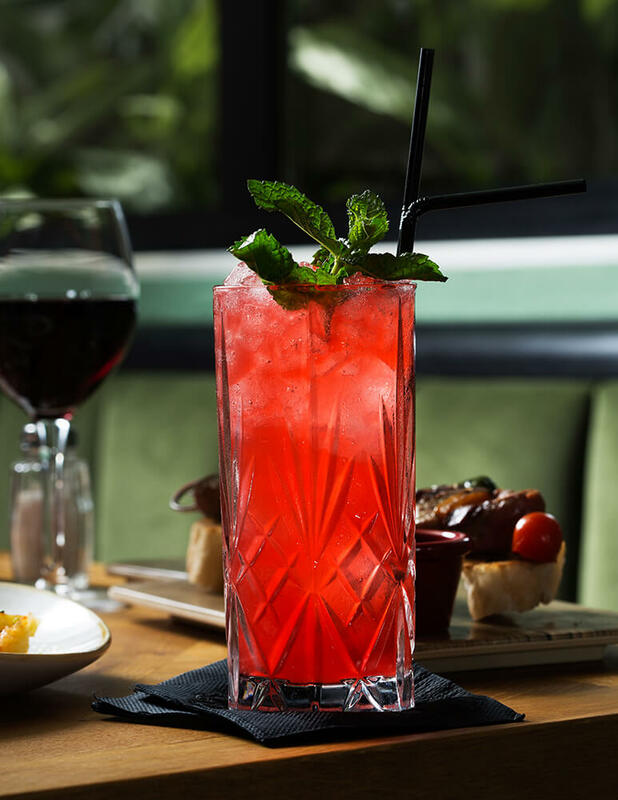 Or you can sip a glass of cava at the bar, scanning the blackboards full of daily specials such as lobster paella or roast Pyrenean lamb with rosemary and thyme. 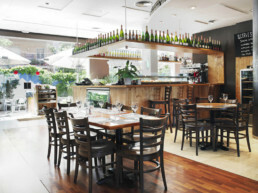 It has 3 private dining rooms ideal for larger groups.